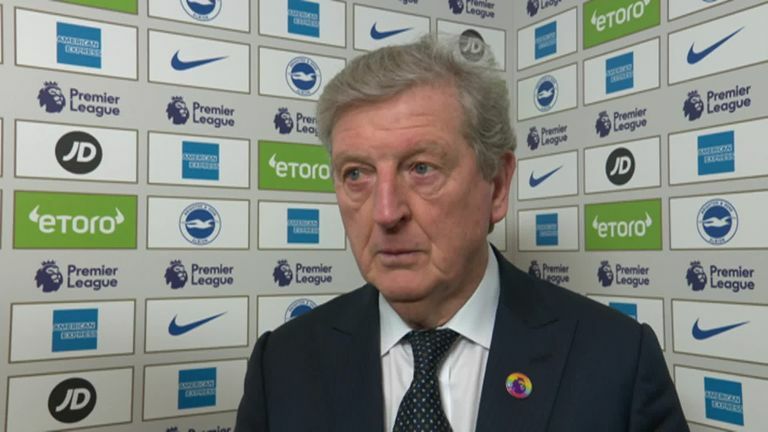 Roy Hodgson disputed Kevin Friend's decision to award Brighton a penalty in Crystal Palace's 3-1 defeat at the Amex Stadium. Friend ruled that James McArthur had tripped Jose Izquierdo in the area on minutes. Replays showed the midfielder made contact with the ball but the decision stood as Glenn Murray opened the scoring against his former club. "We were disappointed by the penalty decision, but we hadn't been playing well," Hodgson told Sky Sports. "All first goals are decisive. Anyone who has seen the replay of the penalty will have seen what I have seen so there is no point commenting." Brighton were reduced to 10 men just four minutes after Murray's opener when Shane Duffy saw red for head-butting Patrick van Aanholt, but Palace failed to capitalise on their man advantage. 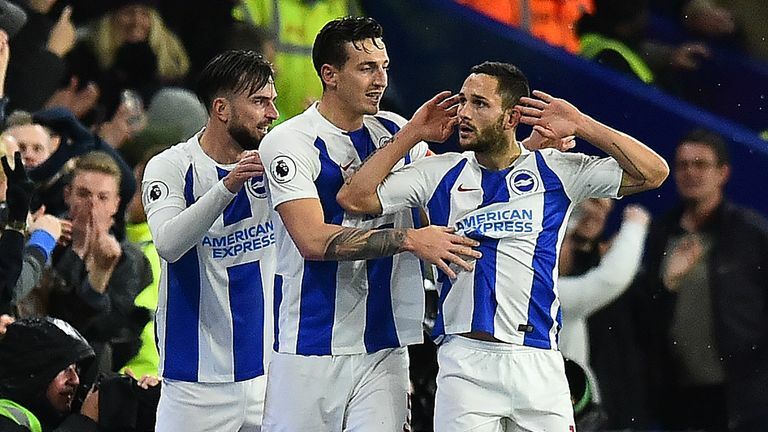 Goals from substitutes Leon Balogun, just 25 seconds after coming on, and Florin Andone had the Seagulls three up at the break, meaning Luka Milivojevic's late penalty was mere consolation. "[The penalty] wasn't the crucial factor," Hodgson added. "The second goal was the really decisive moment. "It's disappointing to concede from the corner and the third goal gave us a mountain to climb. "It's not rocket science. We knew we would have a lot of the ball, but you can't force them to not get lots of men behind the ball. "We got one goal and one or two little opportunities. I can't demand more from the players, who gave it their best shot and kept going. "Every defeat is a setback. We played well for two games, we didn't play well today and we lost. Every game is a new story. Today we weren't able to react."